Your new camcorder shoots 50 or 60 frames per second? But nor iMovie nor FCPX handle thes type of videos! Convert to edit them …And enjoy its "too many frames" to produces a slow-motion (what's the aim of a too much detailed movie if you cannot play with it). 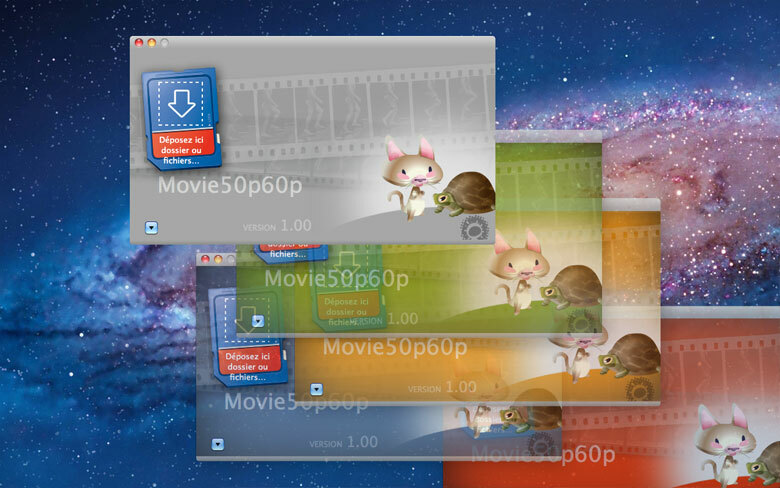 Movie50p60p is especially designed for them. 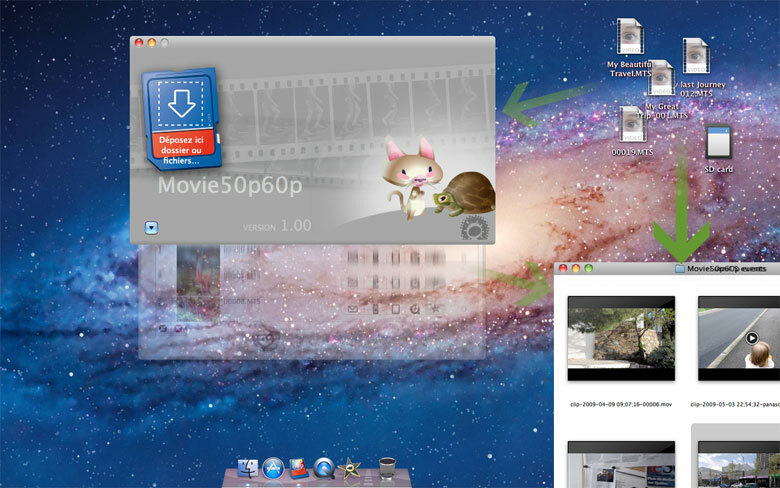 Drag'n'drop a file, some files or a whole folder on Movie50p60p and your previously not-useable videos will be conformed. 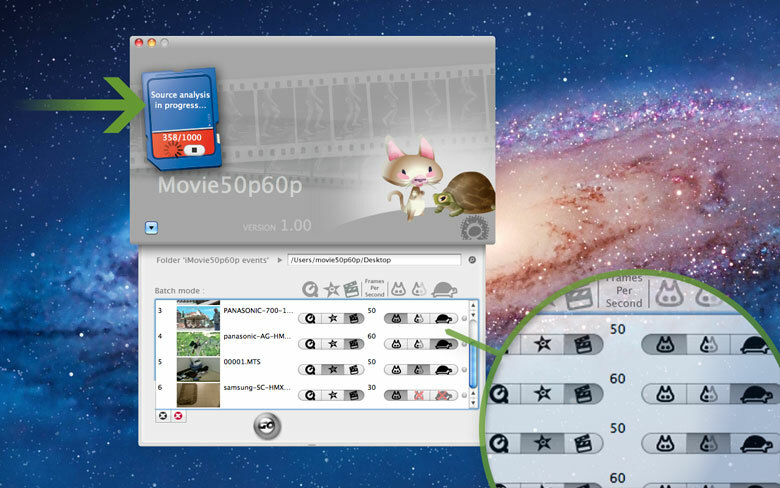 Make your video QuickTime natively compatible : correct your video without re-encoding. Very fast. Conform your video for editing in iMovie or FinalCutExpress. Fast. Converted for editing in FinalCutPro (and with your prefered ProRes codec: from 'Proxy' to '4*4'). Fast. Forget technical limitations and enjoy your cool camcorder, Movie50p60p will fastly and without losing quality convert your camcorder videos (h264 progressive format, including from "50/60" Frames Per Second). Whatever they are on SD memory card or already copied onto your hard disk. And access to beautiful slow motion. Keep your the original number of Frames Per Second from your video. Too high framerate? …decrease it to edit your video in every software. Enjoy the 'too many frames' to do a nice slow motion.